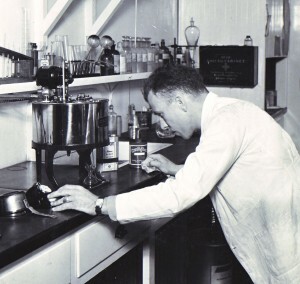 In 1956, Carl Linn introduced the world’s first chemically active form release agent. While working as a chemist for United Petroleum Group in Omaha, Nebraska, Linn noticed concrete contractors were using the company's oil and grease compounds to prevent fresh concrete from bonding to forms. Not only were the oil and grease compounds difficult to work with, but the resulting concrete was discolored and unpaintable. Plywood forms also suffered, failing after just a few pours. Concrete workers had struggled with these issues for years, but Linn had an idea. He developed a chemically active release agent, Nox-Crete Form Coating, and a chemically active form maintenance product, Nox-Crete Deactivator. With Nox-Crete Form Coating, contractors produced concrete that looked better and wood forms that lasted longer. With Deactivator, concrete buildup could be safely and easily removed from tools and equipment. 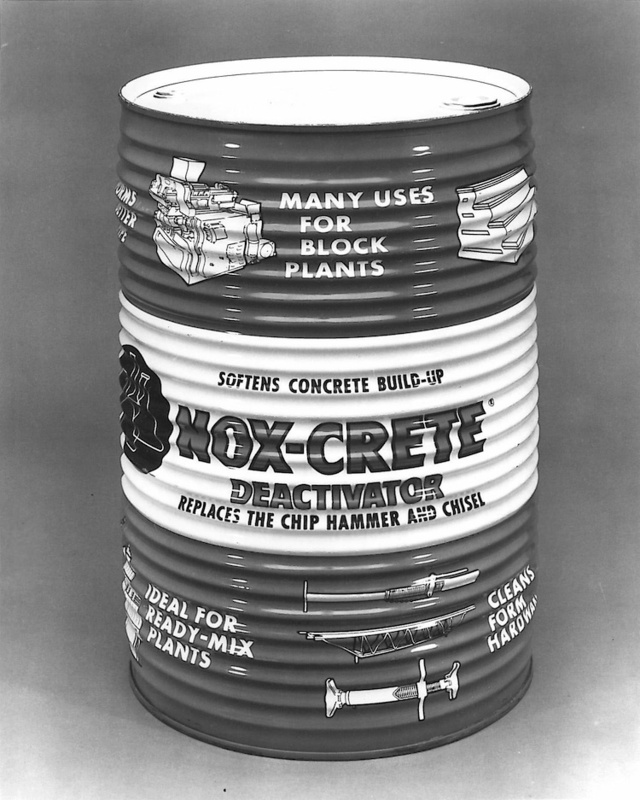 Today, Nox-Crete continues to manufacture chemical solutions to concrete problems. Nox-Crete still manufactures the original Nox-Crete Form Coating and Deactivator, but has expanded its product line to include tilt-up cure and bondbreakers, liquid floor hardeners, joint fillers, curing and sealing compounds, water repellents and much more. Nox-Crete has also expanded into new markets and now distributes its products worldwide. 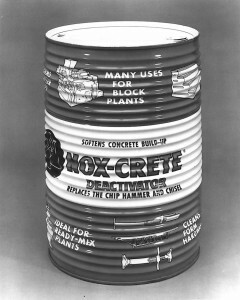 Following Carl Linn’s example, Nox-Crete still relies on concrete contractors for new product ideas. 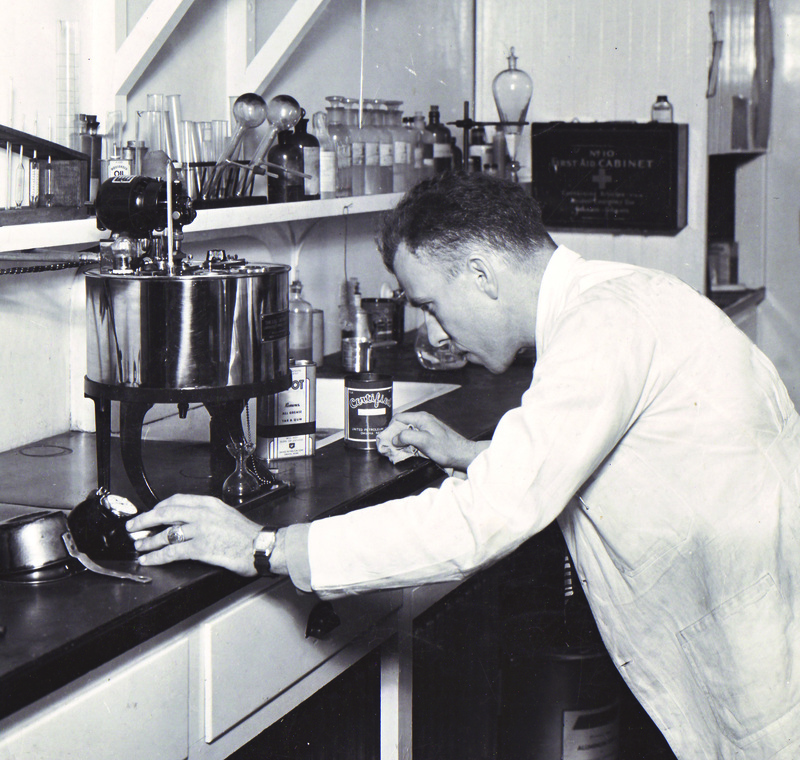 Our technical team of chemists and engineers examine field problems and develop solutions in our research and development laboratory. This passion for innovation is found in the quality, performance and results of all Nox-Crete products.